Learn about the unique charm of Bussiere-Galant with a stay in a private vacation home. There's no shortage of things to see and do in the area.Musee National Adrien Dubouche and Church of St-Michel-des-Lions are just a couple of the must-sees in the area. Whether you're planning a family holiday, romantic stay or friends trip, vacation rentals offer features like full kitchens and laundry facilities for a more convenient stay. The nearest airport is in Limoges (LIG-Limoges Intl. ), located 18 mi (29 km) from the city center. If you're unable to find a flight that fits your schedule, you can also fly into Perigueux (PGX), which is 31.2 mi (50.3 km) away. If you'd rather travel by train, the main station is Bussiere-Galant Station. Where to stay around Bussière-Galant? 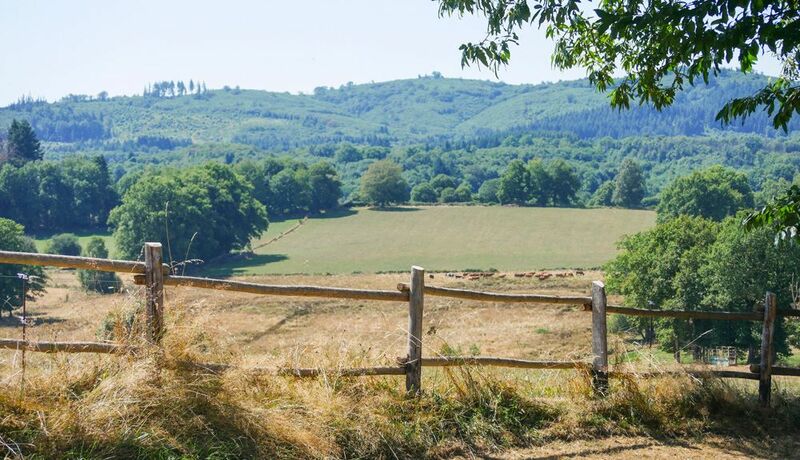 Our 2019 accommodation listings offer a large selection of 162 holiday lettings near Bussière-Galant. From 53 Houses to 45 Bungalows, find unique self catering accommodation for you to enjoy a memorable holiday or a weekend with your family and friends. The best place to stay near Bussière-Galant is on HomeAway. Can I rent Houses in Bussière-Galant? Can I find a holiday accommodation with pool in Bussière-Galant? Yes, you can select your preferred holiday accommodation with pool among our 115 holiday homes with pool available in Bussière-Galant. Please use our search bar to access the selection of holiday rentals available.